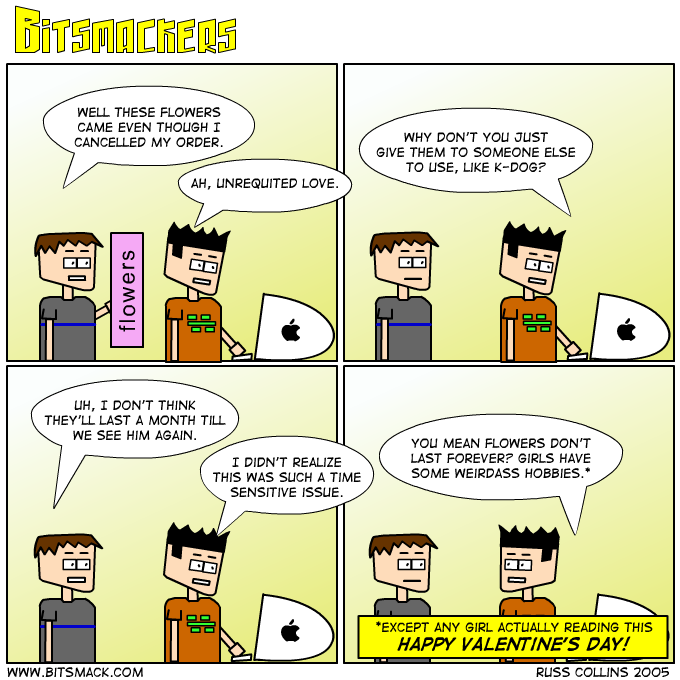 Yesterday was <a href=http://www.bitsmack.com/modules.php?op=modload&name=Comics&file=index&action=comic&id=446>Valentine’s Day,</a> the most discriminatory holiday we have. Not much to update, I’m still playing Warcraft every chance I get. Notice how I call it Warcraft now and don’t refer to it by its initials WoW. At first I used the initials because I didn’t want people to get confused and think I was playing Warcraft II or III, but now WoW is so popular and exponetially better than those games that I think it has earned the title “just Warcraft”.